UMP | University of Minnesota Press Blog: Shipwreck narratives are central to the Age of Discovery. Shipwreck narratives are central to the Age of Discovery. between divine fiat and the insufficient promise of human agency. The Storm on the Sea of Galilee, Rembrandt, 1633. Humans love to tell stories that put humans at the center of things. In these fantasies, the Renaissance celebrates the rebirth of human knowledge, the Enlightenment shines its light on human realizations, and the postmodern era fractures human ideals. More recently, the Anthropocene shoulders its way into view with the power of Old Man Anthropos, the all-powerful Man who ruins everything. These anthropocentric visions paper over the disturbing truth that human history overflows with unexpected turns. We seldom end up where we thought we were going. Stories about transformation and tragedy err when they claim more certainty about their destinations than they really have. To put it more directly: the Age of Discovery was an Age of Shipwreck. Modernity remains a contested term in literary and cultural scholarship, and controversies about the meaning of “early modernity” capture the unsettled nature of thinking about historical change and continuity. Ideas about transformation have long dominated scholarship of the literature and culture of the sixteenth and seventeenth centuries, whether that transformation appears as a “Renaissance” of classical forms, a “Reformation” of Christian cultures, or through more particular discourses such as skepticism, political republicanism, or the rise of empirical science. My book Shipwreck Modernity supplements these human-centered visions with disaster. Adding the modifier “shipwreck” to the modernity of European culture’s first age of globalization minimizes human control and relocates unplanned errancy at the center of world history. Shipwreck modernity describes an understanding of historical change that is impersonal rather than humanized, material as well as ideological, and driven by random catastrophes more than singular acts of vice or virtue. Turning to shipwreck follows the offshore trajectory of recent scholarship in the oceanic or “blue” humanities that treats the sea as a corrective to pastoral dreams of harmony. This saltwater approach to human cultural history places the encounter with what oceanographers call the World Ocean at the center of the global movement of European culture. Ocean currents and prevailing winds drove European ships around the globe, carrying and encountering viruses, plants, animals, languages, cultures, and catastrophes. The disasters and narratives of hybridity that emerged comprise a global shipwreck. The rapid integration of the ecologies of Afro-Eurasia with the Americas created disruption and change on a massive scale that continue to resonate today. Shipwreck modernity brought smallpox to the Americas and the potato to Ireland, while disrupting local ecologies around the globe. No trope in the oceanic archive resonates more than shipwreck, an ancient story of disorientation and disruption that punctuates Western literary culture from Odysseus and Jonah to Prospero and Robinson Crusoe. Especially during periods of maritime expansion, shipwreck narratives portray humanity caught between divine fiat and the insufficient promise of human agency. 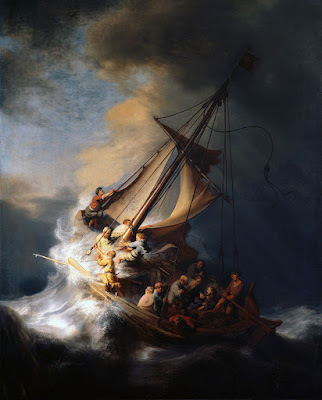 The technical labors of mariners in crisis, as portrayed by canonical authors such as Shakespeare and Defoe as well as common sailors and others, create allegories of humans struggling to endure nonhuman environments. Representations of shipwreck in and beyond the early modern period suggest three subcategories or interpretive clusters for human-ocean encounters: wet globalization, blue ecocriticism, and shipwreck modernity. Each of these phrases identifies a trajectory for blue humanities scholarship. Wet Globalization: Twenty-first century responses to globalization sometimes fly above the earth in passenger planes. The blue humanities recall that historically and still today, the global economy floats on ocean currents. Blue Ecocriticism: The sea’s overwhelming physical presence in the natural environment emphasizes that this element, long marginalized by green eco-thinking, can revolutionize ecological thought in a post-sustainability context. Shipwreck Modernity: From an oceanic perspective, the story of emerging modernity resembles a catastrophe-ridden epic of ocean-fueled expansion and its attendant disasters. Responding to the alienating pressure of the ocean on human bodies and institutions makes the blue humanities a form of post-human investigation. With cognates in post-sustainability ecocriticism, cyborg studies, catastrophe studies, and other discourses that separate humans from the spaces that comfort them, the oceanic turn in humanities scholarship combines ancient narratives that remain vibrant in contemporary culture with a new emphasis on dynamism in the relationship between humans and their environments. Shipwreck Modernity refuses sentimental consolations such as green sustainability or political utopianism. But it does not sink into the depths without hope. The shock of immersion has positive lessons as well as critical ones. The book ends in the “bright light of shipwreck,” alongside the hybrid vision it names the Bookfish, with “Seven Shipwrecked Ecological Truths.” Seeing catastrophes as opportunities means seeking an ecological future with wet swimmers rather than dry sailors, in an oceanic world in which survival, while only temporary, gives pleasure. This wet and disorienting vision shines a light on early modern ecological globalization that resonates with our post-climate change present. 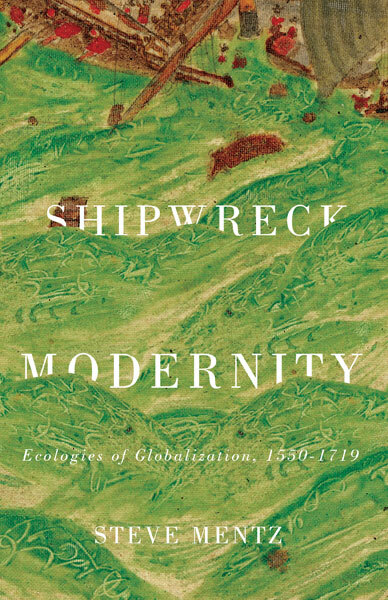 Steve Mentz is author of Shipwreck Modernity: Ecologies of Globalization, 1550–1719. He is professor of English at St. John's University in New York City. "A compelling, provocative, even lyrical piece of scholarship that will undoubtedly inaugurate new critical discussions in the fields of maritime humanities, eco-criticism, early modern English literature, and shipwreck studies."